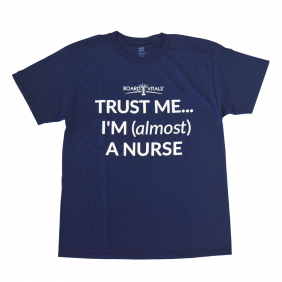 "trust me... i'm (Almost) A Nurse"
While supplies last. Offer available only to nursing students with a verifiable school email address. Limit 1 t-shirt per person. Only ships in the contiguous United States to non-PO box addresses. Fill out the form to receive your FREE t-shirt!